China Airlines, the national carrier of Taiwan, has debuted its new uniform designs! This latest phase of the ambitious NexGen Plan unfolded at a flash mob event this afternoon, during which 60 cabin crew and ground staff danced in new uniforms at the busy Zhongxiao Fuxing MRT station in Taipei. 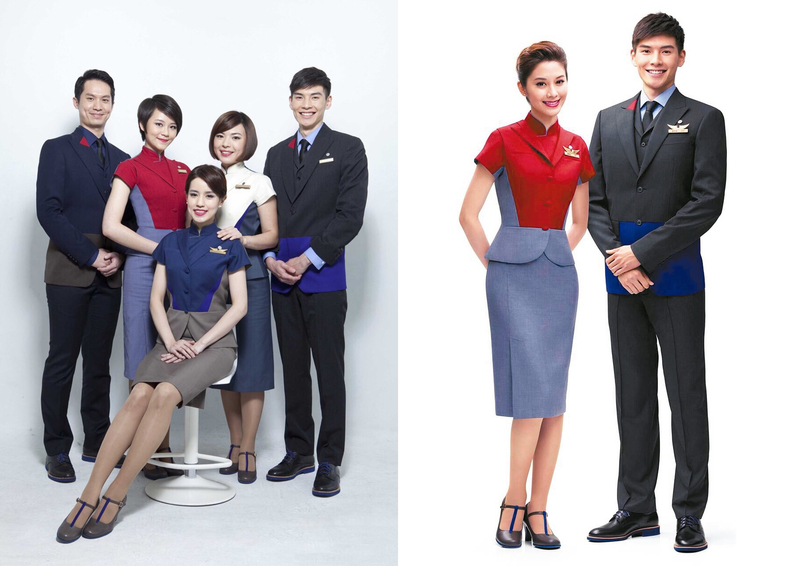 Designed by Academy Award-nominated designer and eleven-time Golden Horse Award winner William Cheung (張叔平), the new uniforms will be worn by cabin crew and ground staff starting August 2015. Based in Hong Kong, Cheung is well known for his vintage and nostalgic designing style. He has been widely acclaimed for adding a modern touch to traditional Chinese clothing. In 2013, Cheung was invited by the new China Airlines cabin designer, Ray Chen, to join the NexGen designer team in refreshing the China Airlines brand image. The cohesive element of the uniforms is the montage-like designs. For the female crew uniforms, Cheung chose to base his design on the 50’s style of traditional Chinese “Qipao”. Instead of strictly following the existing China Airlines purple colour scheme, Cheung decided to incorporate the boldness of red to make the uniforms elegant yet eye-catching. On the other hand, the female cabin manager uniform has a black-and-white colour scheme while the chief purser has a blue-gold scheme, thus distinguishing their statuses from the others. All female uniforms have a carefully designed colour block on the upper half to make the figure look slimmer and taller. As for the male crew, the colours are less bold. The design is traditional formal suit wear with the bottom half of the jacket being sapphire blue. However, there is a hint of red on the notch, creating an interesting focal point. 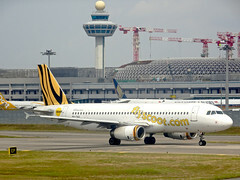 The cabin manager uniform features a dark blue, black and gold scheme. For the female winter wear, black coats with hints of sapphire blue on the pockets. The male version features a sapphire blue high collar. The new uniforms are designed to make the China Airlines staff look energetic and confident. 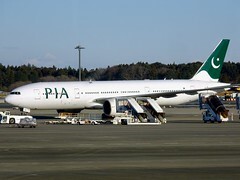 Though they have a slim-fit design, thanks to modern techniques, the uniforms will make working easy for cabin crew and ground staff. In the uniforms, the staff will be able to raise arms and bend down with great ease. As for the shoes, Cheung designed both flat and high heels for different working occasions. The new shoes are made with cold grey leather. However, instead of showing one single colour, there will be hints of blue on the surface. Furthermore, the sole will have a sapphire colour. Blue is the corporate colour of China Airlines. 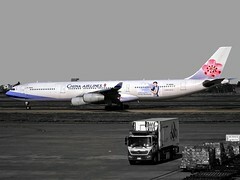 China Airlines also hired renowned stylist Roger Cheng (鄭健國) to design the new make-up and hair styles. Cheng designed a neat and refreshing style so that the new uniforms can be best complemented. >talkairlines can see the complicated thought process behind the outfit designs. Yet, we believe that it will take time before the uniforms can be more widely accepted. 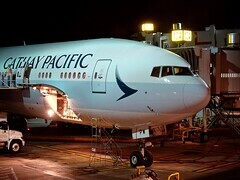 At this moment, we believe that the “beauty” of the uniforms can be shown only on the new 777 cabins. 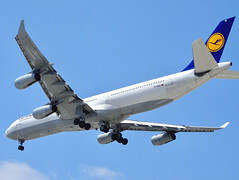 On other aircraft types, the existing uni-colour ones fit better. We will look forward to seeing China Airlines staff wearing the uniforms starting August this year. Only then can we decide on whether this new introduction is change for the better or the opposite. EXTRA: The flash mob event at Zhongxiao Fuxing Station. The “Cabin Crew Dance” designed by Taiwanese band “Men Envy Children” for China Airlines. This dance was performed at the flashmob this afternoon. Enter your email address to follow >talkairlines and receive notifications of new >talks by email.